ANGRY! – I Can Do It! 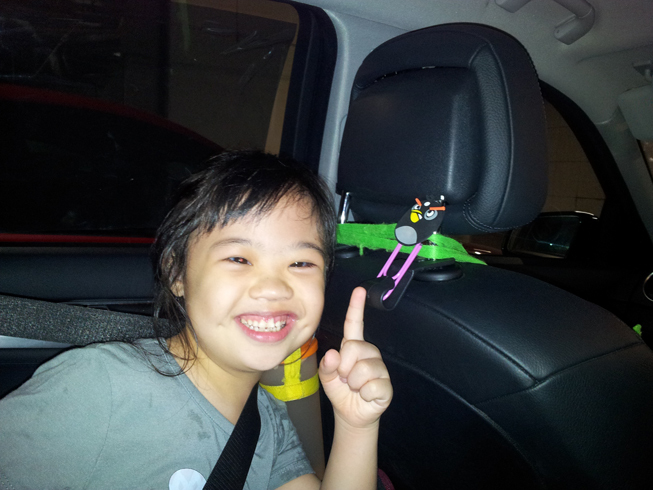 LA was given an angry bird paper clip as a reward when she did well today at RDA. LA had been riding for a year and she had done very well. Riding on Laurie now, her posture is good and she has made improvements in her steering and trotting. 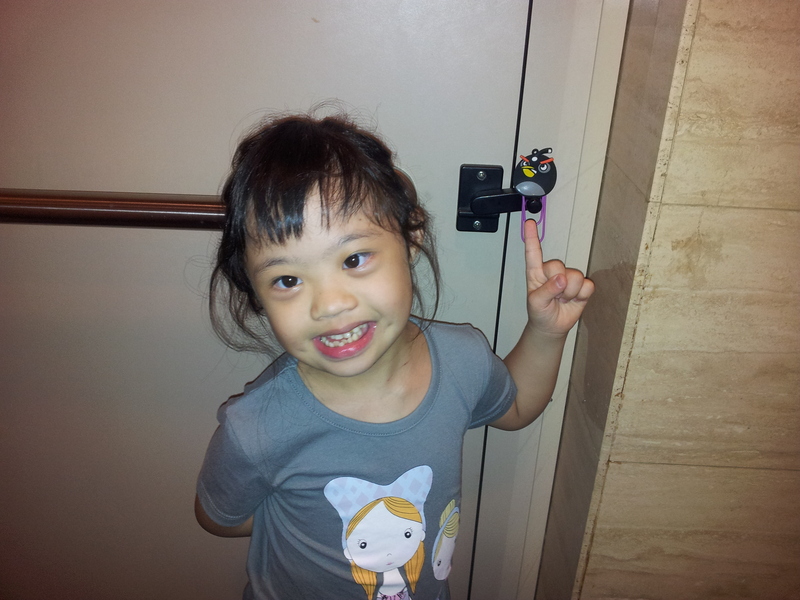 Below were our conversations about ANGRY – the name she gave the angry bird – how appropriate! LA: How do I take this angry bird out? Mom: Not sure. You can try pulling it out. Mom: (After a closer look…) I don’t think you can pull it out. They stuck it down with glue. LA: I know! I can use a scissors and cut along the black line. Mom: (Marvelling at her problem solving skills and determination to get it out…) That’s a wonderful idea!!! Finally, she told daddy what she would like done and daddy helped her with it. Mom: (In the toilet) LA, why did you bring the paper clip here? You may drop it? Can I keep it for you in my pouch? 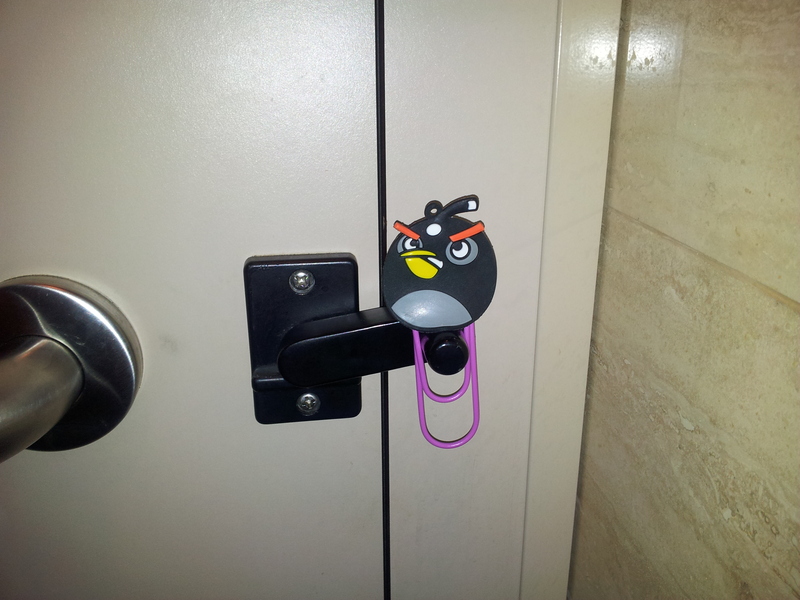 Mom: (Amazed that there IS a place even for a paper clip…) Wow! That’s a GREAT idea!!! I must take a photo of you with the paper clip. Mom: (In the car) Where is your angry bird? LA: (Pointing and saying proudly)) Here! It can sit! Mom: That’s right!! Ok. Would you like to take a photo with your angry bird? Mom: What’s the name of your angry bird? Mom: That’s a good name!